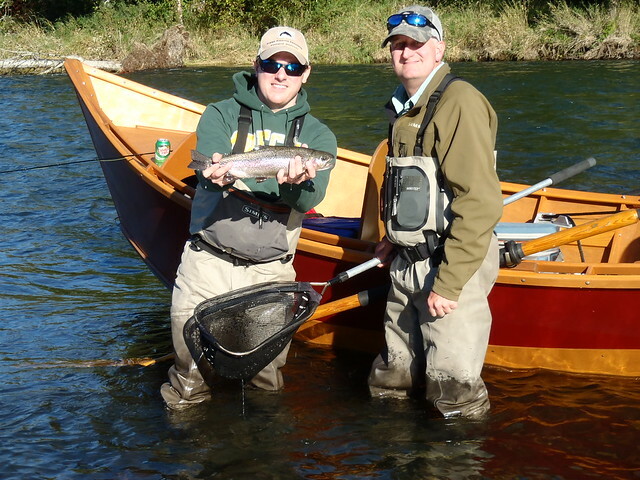 The Caddis Fly’s 2013 Two Fly Tournament raised just over $5000 for The McKenzie River Trust’s habitat restoration projects. 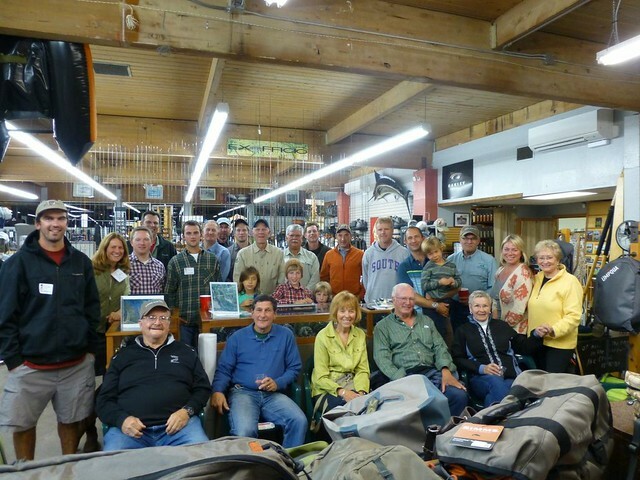 We had a marvelous group of anglers and guides who participated to make the event happen. Anglers enjoyed the best fishing day we have had in the tournaments short six year history. Five of the seven boats had three fish (total length of three fish) totals of over 50 inches. We lucked out with a perfect set up of water and weather conditions. Earlier in the week heavy rains caused high and off color water that reset the river and revitalized the fish. By Saturday the river was absolutely perfect and fishing was as good as we have seen it. The winning boat was guided by Mike Reardon with anglers Jeff Woolsey and Doug Hoff, pictured above with a fish they did not measure. Last year Woolsey and Hoff came in second by 1/4 inch. Needless to say great satisfaction was taken when they put up the fantastic total of 55 and 3/4 inches. Most of the boats in this years event fished the lower river from Hendricks down. Many of the anglers said it fished as well as it had ever for them! There is no question that the no stocking program from Hendricks down is having a profound effect on the fishing. Anglers caught more fish between 15″ and 18″ than we have seen in years. If you get a chance to fish the lower river this week do it, it’s really really good. 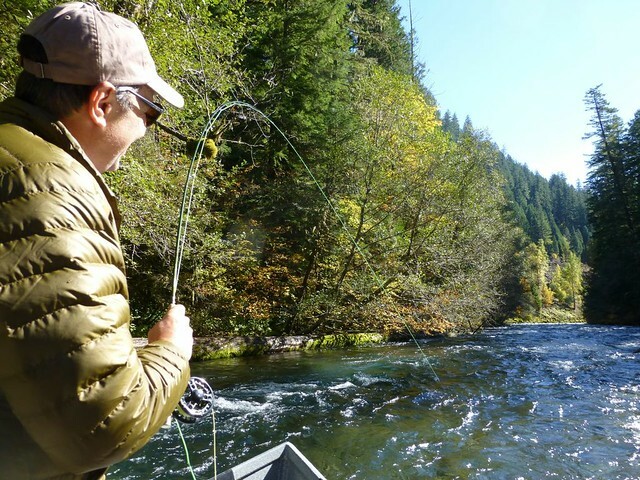 For more info on whats happening on the lower McKenzie please have a look at the McKenzie River Trout Study. 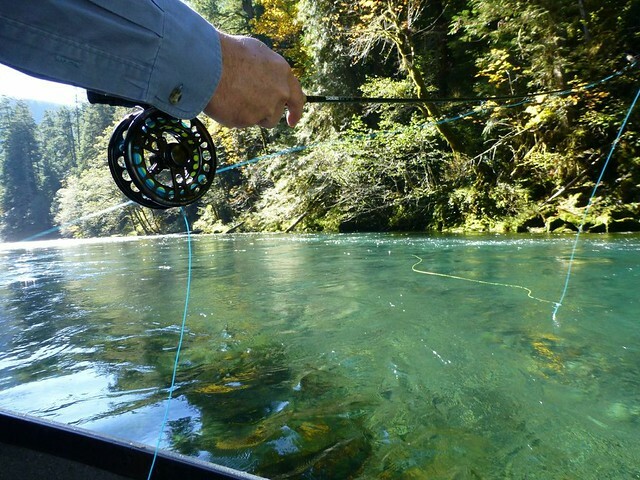 http://www.mckenzietroutstudy.org/ Hats off to the group of dedicated anglers leading the charge on this project, it’s really making a difference in the lower McKenzie River. Special Thanks to the guides who donated there day on the water. The tournament relies on the guides participation so big thanks guys we really appreciate it! 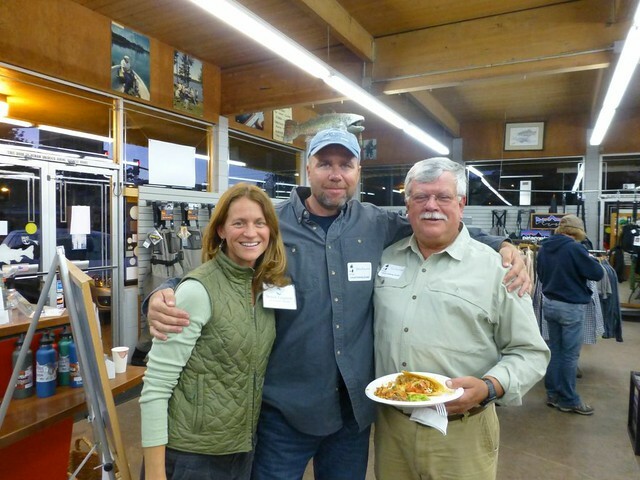 Finally a big thanks to Redington, and Anglers Book Supply who provided prizes for the event. Any info on what the hot pattern was for the lower river?